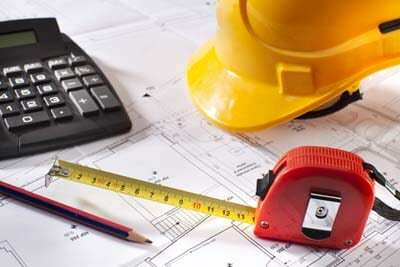 Methods of preparation of preliminary or approximate construction cost estimation for studies of various aspects of work of project and its administrative approval is discussed. This estimate can decide, in case of commercial projects, whether the net income earned justifies the amount invested or not. The approximate estimate is prepared from the practical knowledge and cost of similar works. The estimate is accompanied by a report duly explaining necessity and utility of the project and with a site or layout plan. A percentage 5 to 10% is allowed for contingencies. The cost of construction is determined by multiplying plinth area with plinth area rate. The area is obtained by multiplying length and breadth (outer dimensions of building). In fixing the plinth area rate, careful observation and necessary enquiries are made in respect of quality and quantity aspect of materials and labour, type of foundation, height of building, roof, wood work, fixtures, number of storeys etc. Area of walls at floor level. Area of barsati at terrace level: Barsati means any covered space open on one side, constructed on one side, constructed on terraced roof which is used as shelter during rainy season. Domes, towers projecting above terrace level. Box louvers and vertical sun breakers. This method is generally used for multi-storeyed buildings. It is more accurate that the other two methods viz., plinth area method and unit base method. The cost of a structure is calculated approximately as the total cubical contents (Volume of buildings) multiplied by Local Cubic Rate. The volume of building is obtained by Length x breadth x depth or height. The length and breadth are measured out to out of walls excluding the plinth offset. The cost of string course, cornice, corbelling etc., is neglected. The cost of building = volume of buildings x rate/ unit volume. According to this method the cost of structure is determined by multiplying the total number of units with unit rate of each item. In case schools and colleges, the unit considered to be as ‘one student’ and in case of hospital, the unit is ‘one bed’. The unit rate is calculated by dividing the actual expenditure incurred or cost of similar building in the nearby locality by the number of units.